'Magnets' - My child's favourite stuff now. 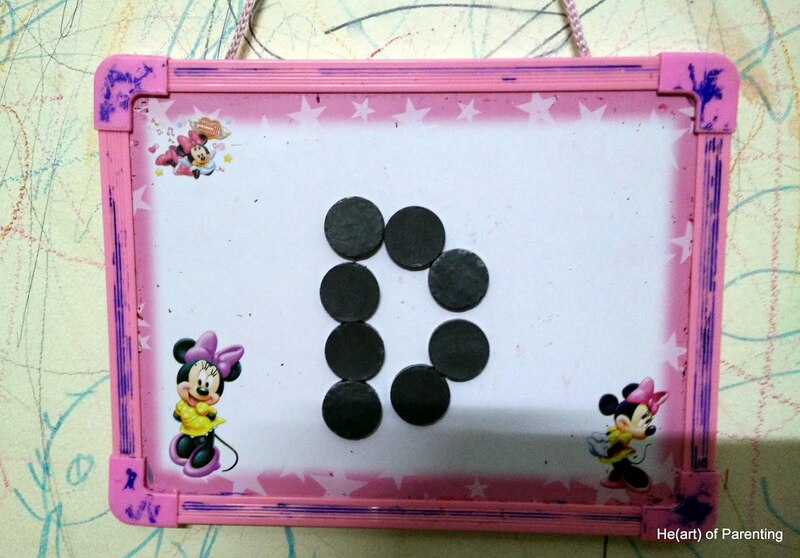 She was last shown magnets when she was 18 months and now she is 2 year 3 months. She jumped with joy upon looking at the magnets and started sticking them in various ways, playing with them. Put them on fridge, door knob, door handle etc and check if it sticks to them. 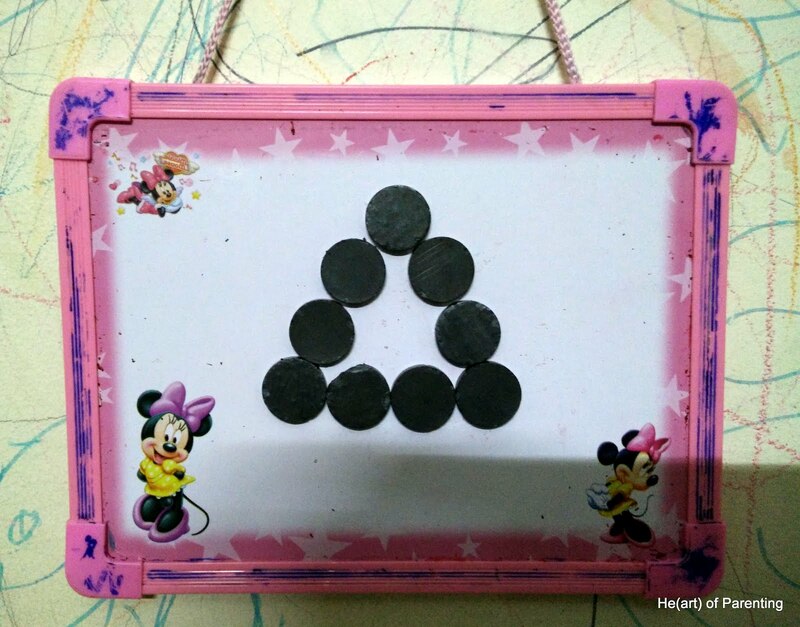 Make shapes out of magnets by sticking them on a magnetic board. Stick magnets by the circumference, make them stand on the floor, call it a bus or train depending on the number of magnets she put together. Place a magnet on floor, hover another magnet just on top of it but do not go close to it and see how the one on floor keeps moving away from the hand(repel). 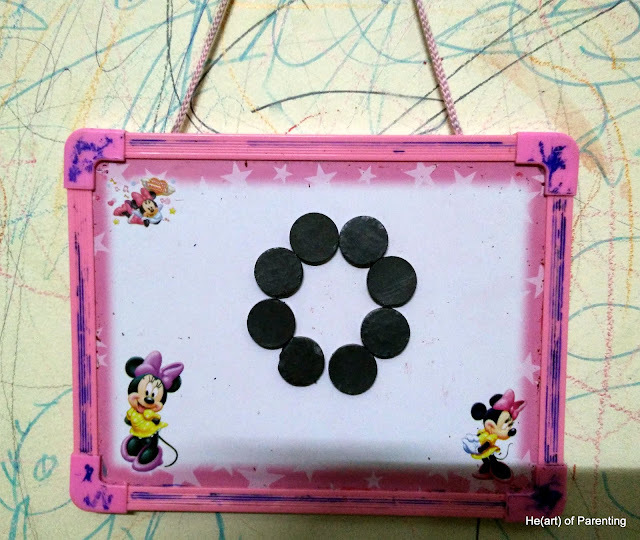 Arrange magnets in shape on fridge.